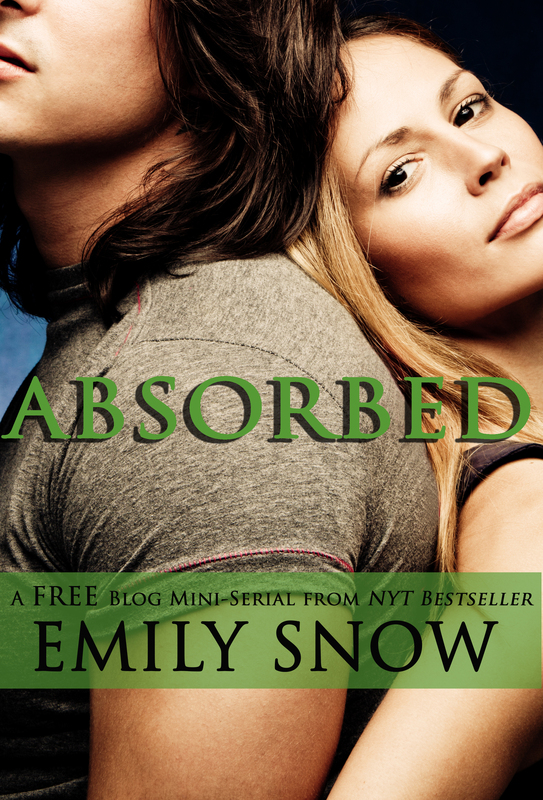 News from Emily Snow on the Devoured Series! Read DEVOURED? Wonder what happened AFTER Lucas leaves Sienna in Atlanta? How Kylie and Wyatt’s story ends? Want more of Lucas’s POV? It’s coming soon in a FREE weekly serial on Emily Snow’s blog! ABSORBED is a FREE weekly mini-serial written in Lucas’s POV. It takes place between the end of Devoured: Chapter 19 (the Atlanta chapter) and the very start of Consumed, and will be published on Emily Snow’s blog and website from August 16 through September 13. CONSUMED will be released in eBook format from Touchstone Books on September 17 and in paperback in November. The pre-order campaign is open to EVERYONE who has pre-ordered CONSUMED – whether it was five minutes ago or five months ago. If you can’t find your receipt and you pre-ordered via Amazon, go to the Consumed order page on Amazon.com. At the top of the page there’s an Instant Order Update. Click on it and it will take you to the order summary that you’ll need to take a screen print of. If you pre-ordered via Barnes and Noble, go to Order Status at the top of that website’s page. You’ll be able to find the Consumed pre-order by searching through the Order History. Once you locate the order summary, take a screen print and shoot an email to the address above! Just tried to do this and it keeps getting returned! Anyone else having a problem?! You mean the email, Kim?